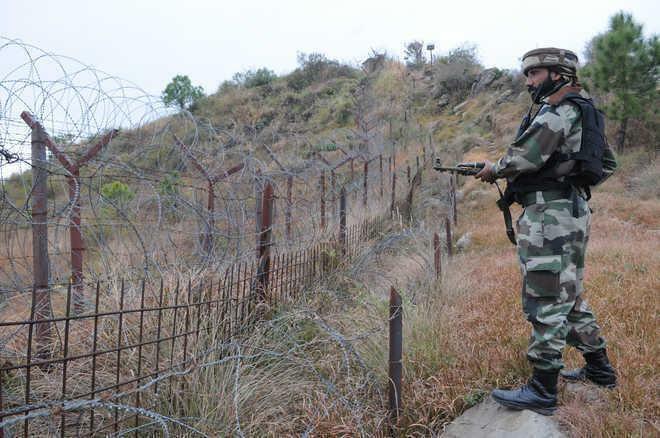 NEW DELHI: The Army recorded 1,599 cases of ceasefire violations (CFV) along the Line of Control (LoC) and lost 20 personnel in 2018, the government said in the Lok Sabha Wednesday. The first three months alone saw 633 cases of such violations, a quarter of the total instances in the year, he said. Of the 20, the Army lost 15 personnel in the first four months of 2018. "Appropriate retaliation to the ceasefire violations, as required, has been carried out by the Indian Army. Also, all violations of ceasefire and infiltration were taken up with the Pakistan authorities at the appropriate level through the established mechanism of hotlines, flag meetings, Directorate Generals of Military Operations talks as well as diplomatic channels between the two countries," the minister said. The defence services, Bhamre said, have taken a number of actions, including risk categorisation of military bases, appraisal and upgradation of intelligence gathering capabilities, strengthening and streamlining of the response mechanism, acquiring Unmanned Aerial Vehicles (UAVs), periodic security audit of all military installations etc. "The Army also carries out in-depth analysis of the terrorist incidents and security breaches that are identified with various incidents. Perimeter security projects of all the three armed forces have been sanctioned by the government and many works for strengthening of security infrastructure of defence establishments have been completed," he said. Replying to another question on the amendment to the Cantonment Act, Defence Minister Nirmala Sitharaman said an expert committee has been constituted on 'Working of Cantonment Boards' and one of the terms of reference of the panel is "to study the existing Cantonments Act and make specific recommendations for suitably amending the Act to impart modernisation and democratisation of the governance structure of Cantonment Boards".